Suzette and Woodrow married on April 5, 2014.Their wedding reception was held at the Treyburn Country Club located in Durham, NC. 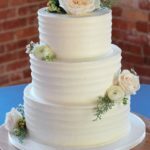 The wedding cake was a three tier square butter cream iced with a quilted look on the top and bottom tier with a blue fondant ribbon around each tier. 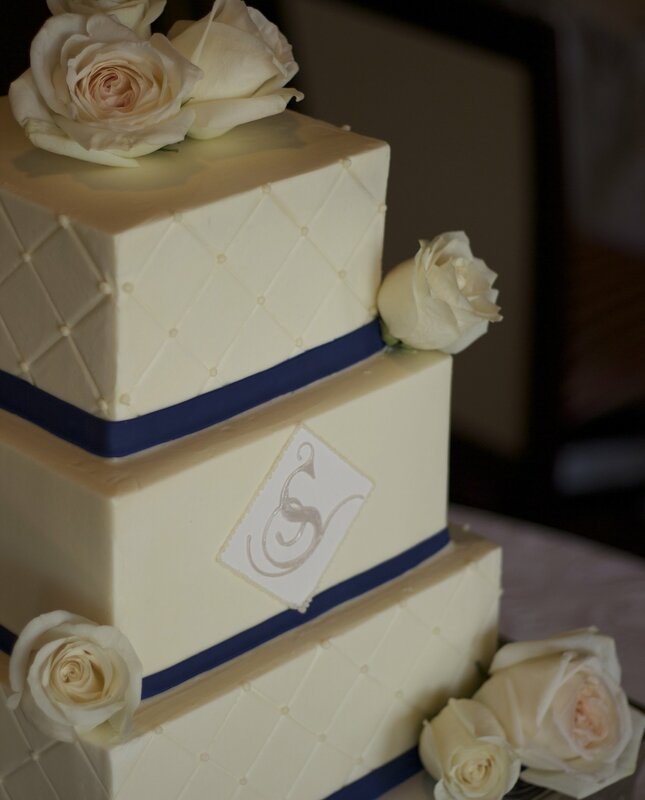 The middle tier just smooth iced with their S monogram on a diamond shape plaque. The S font for their monogram is what they used on other wedding decorations. 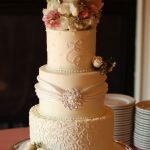 The roses on the wedding cake were provided by Floral Dimensions.